I’ve been receiving a lot of questions about proofreading legal transcripts. So, this week I sat down with Caitlin Pyle, who is a professional legal transcript proofreader. Caitlin has not only excelled in the field, she also teaches others how to break in and succeed in this career. 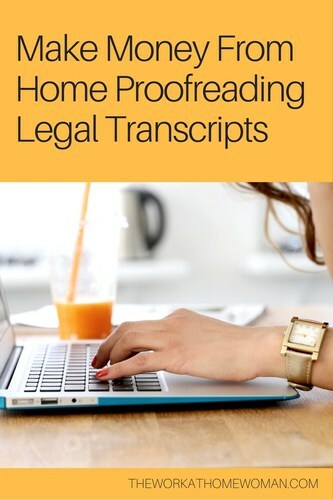 Read on to find out if proofreading legal transcripts is your work-at-home calling. Actually, I started by getting fired. It was actually the job where I learned how to proofread for court reporters. After that experience, I started freelance proofreading for some of the reporters I had previously worked with while pursuing becoming a personal trainer. I did that for a few years, but then realized that I liked the flexibility of proofreading and that I could share my knowledge with others. Gradually, that turned into my online course and other online ventures including blogging and helping other people monetize their own expertise. Do you have any special training? If you mean do I have a degree or certification in proofreading, no. There actually isn’t one! But I do have a lot of education and learning in all areas of both proofreading and entrepreneurship. That’s the wonderful thing about the age we live in. There are so many ways to increase our knowledge. I like to say that learning changes everything –- and there are so many opportunities to learn! I’m constantly studying to become better at whatever I’m doing. I’ve also had some amazing mentors who have helped me improve my skills and given me a lot of great advice and direction. What sorts of individuals make good proofreaders? You need two skill sets to be a good proofreader. First, you obviously need an eagle eye. Attention to detail and knowledge of the rules of grammar and, more importantly, punctuation are critical. But you also need to be self-motivated, flexible, and willing to work hard to build your own success. Even if you’re a superb proofreader, no one will just hand you a successful business. But if you ARE a superb proofreader, getting and keeping clients will be easy. Nothing sells like excellence! Realistically, how much money can someone earn as a transcript proofreader? You won’t get rich proofreading transcripts, but you can make a comfortable living from it. I earned $43,000 (before taxes) working 20 to 30 hours a week in 2014. Some weeks I worked more; some weeks I worked less. It is challenging but rewarding work! We’ve had course graduates replace their full-time jobs with proofreading, and we have grads who proofread part-time to supplement their household income or to pay for extras like a vacation. It really depends on how much you want to hustle. I am always hustling! What is a typical day in a proofreader’s life like? That’s the awesome thing about this job: There is no typical! We have all types of people who graduate from the program: college students, stay-at-home moms, retirees, people with full-time jobs, etc. Proofreading is flexible enough to fit any lifestyle. One person may choose a typical 9-to-5 schedule. Another person may proofread for a couple of hours in the evenings. Night owls, morning people, part-time, full-time – you get to choose your own adventure! How did you get involved in teaching people how to make money with proofreading transcripts for your reporters? I started by training a few people one-on-one. From there, I created an eBook and started selling it online. From the multitude of emails I received, I realized that book just wasn’t cutting it. I created the online course to fill in those gaps, and I continually update and improve it. A quality online course never stays the same; it’s a living, breathing organism that grows and changes along with the industry. You offer a FREE 7-day intro course, what will people learn in this training? 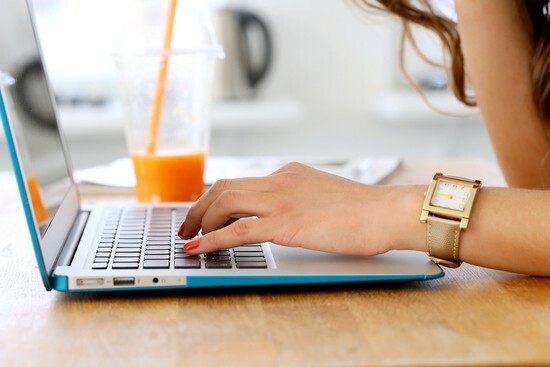 The intro course is designed to give proofreading hopefuls a better idea of what transcript proofreading is and whether it’s something that will be a good fit for them. There are a couple of quizzes to help people do some self-analysis and tons of information about the transcript proofreading niche and the freelance life. No one is equipped to start work as a legal transcript proofreader after seven days, but they will have plenty of information to determine if it’s something they want to pursue further. You also offer a FREE 45-minute workshop for General Proofreaders, what do people learn in this training? ● Are you always catching typos and misplaced commas? ● Are you constantly correcting texts and Facebook posts? ● Do you read through an email five times before you hit send? ● Do you cringe when a restaurant menu has a misspelled word? In this 45-minute workshop, you'll get an inside peek into the world of proofreading books and blogs. You'll also find out what a successful proofreader does, how to elevate your skills to become a GREAT proofreader, how to use one of the most popular proofreading tools, and a few places to find clients! What are some of the benefits to be a proofreader? There are so many! One of the greatest benefits is the PA community — which many people say is the best part of the course! It’s an amazingly supportive and helpful group. Aside from that, you have the flexibility and freedom to create the life you want. Want to travel? Go for it! Want to stay home with your kids? Proofreading is perfect for that! We have caregivers and people with physical limitations, and people who are just tired of the rat race who are creating the life they desire. I also really appreciate the tranquility of it. Your mind has to be calm to perform the work well. What advice would you give to a new or aspiring proofreader? It’s hard work. It’s not for everyone. You will have to learn a lot and work a lot and hustle a lot. But it’s worth it. If you’re willing to put in the effort, you can build a business and create a life that fits your wants and needs. Many people are scared to start because they don’t have any experience or don’t know what they’re doing, but that’s exactly why the course exists — so you can get experience and learn what to do. The only way to become more confident is to learn. Adopt a growth mindset. You’re too smart to be the only thing standing in your way. 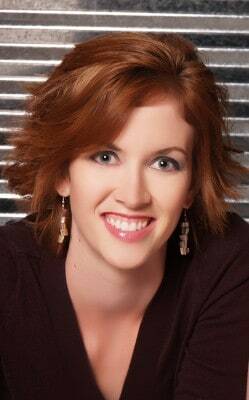 To find out more about a home-based proofreading career, check out Caitlin's website: ProofreadAnywhere.com. Or sign up for her FREE 7-day intro course or her FREE 45-minute general proofreading workshop. I live in the UK, is it only for the US? It doesn’t matter where you live — anyone can do freelance proofreading. hi.. is this only for women? based in the US? The information is applicable to both women and men, and the course can be taken online. However, many hiring companies will want you to be a native English speaker. Hi. I was thinking about this as I always seem to catch errors and I love grammar. If you look at the paragraph under heading “You offer a FREE 7-day intro course, what will people learn in this training?”, the end of the first sentence needs to be corrected. Shouldn’t it say “fit for them” and not “fit them”? Thank you for all of the info though. I really think I may look into this further. The link just takes me to a sign up page but when I try to fill out the information to submit it just takes me to a Facebook post share about the website. Hi Amanada, Try this link: http://bit.ly/2bc74qD You should be able to sign up for the free 7-day course. Let me know if you’re still having problems and I’ll see what I can do to help. This is an online course to become a proofreader. You can click on the link to find out more.